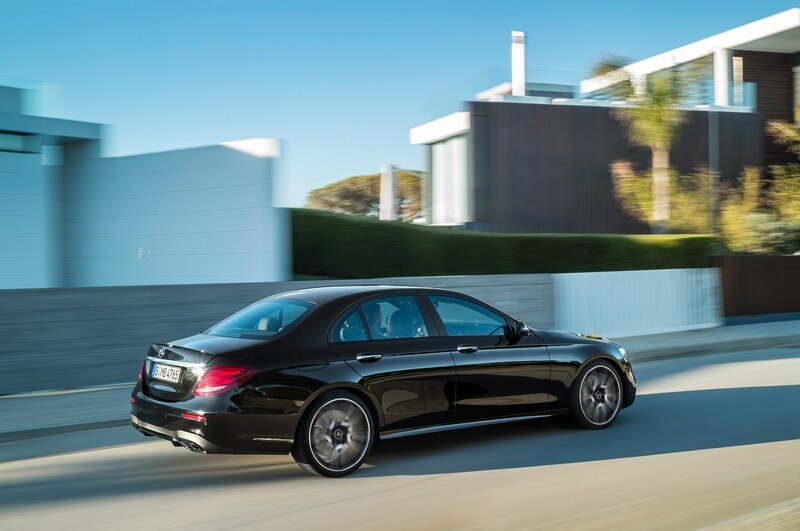 The new E-Class just got faster. 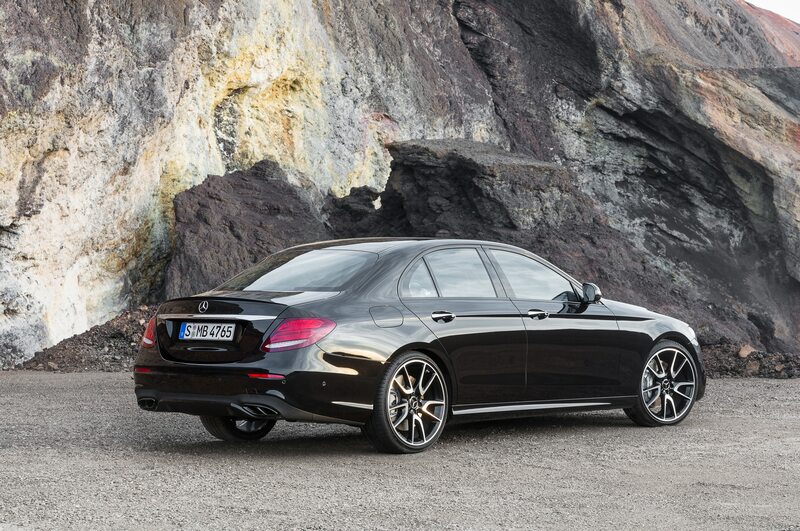 It’s not a full-blown AMG model, but there’s still serious performance on tap from the newest version of the E-Class. The 2017 Mercedes-AMG E43 debuts at the New York auto show as Benz’s rival to the likes of the Audi S6, with 396 German horses channeled to all four wheels. 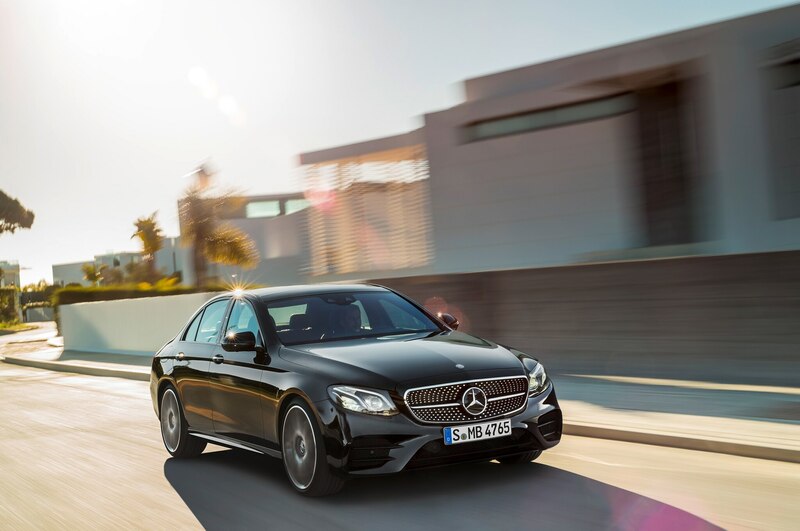 Motivation for the E43 comes in the form of Mercedes’ 3.0-liter twin-turbo V-6 engine, with a red engine cover denoting its performance bent. With up to 16 psi of boost coursing through its veins, the engine pumps out 396 hp and 384 lb-ft of torque. 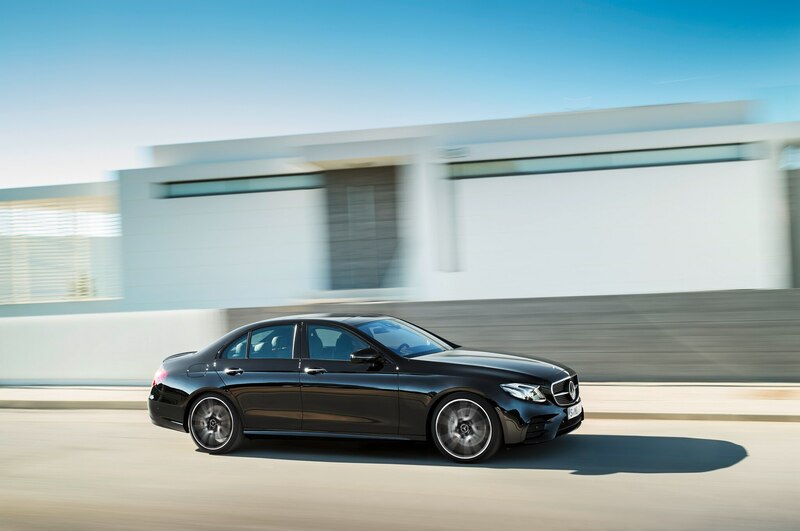 A nine-speed automatic transmission sends power to 4Matic all-wheel drive, shuttling the E43 to 60 mph in 4.5 seconds and on to a limited top speed of 155 mph. Mercedes-AMG is directly targeting the E43 at the Audi S6, which is a bit more powerful but also heavier than the E43. Audi says the S6 will hit 60 mph in 4.4 seconds, so it would be a tight race between the two German sedans. 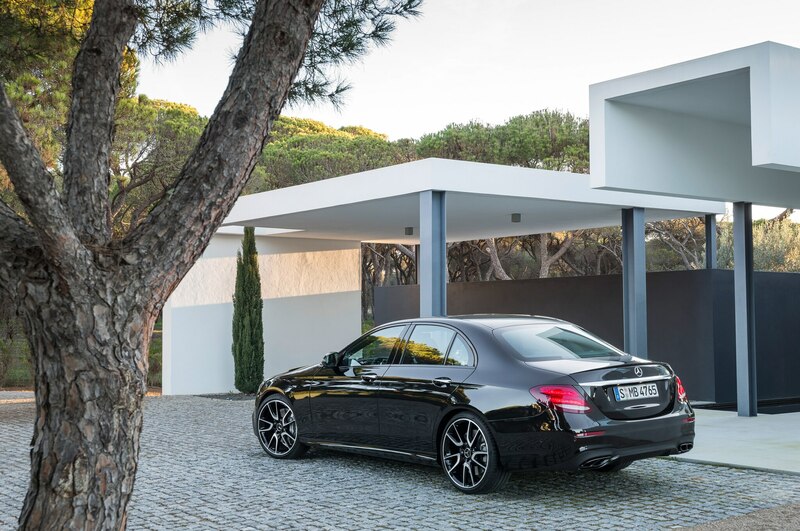 Of course, the 2017 Mercedes-AMG E43 isn’t only about power. The car also receives air suspension with three-mode adaptive dampers, more rigid suspension knuckles, extra negative camber for improved grip, a new front fascia that improves airflow to the engine, and a quad-tip exhaust. And the all-wheel-drive system is rear-biased, with a 31:69 torque split, to make sure the car still has an exciting cornering demeanor. 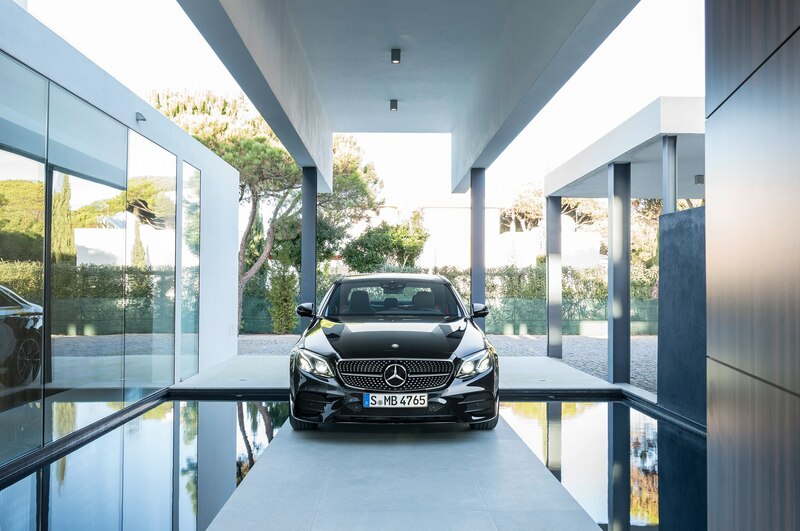 Visual upgrades for the AMG model include red stitching for the interior, a black headliner, red seat belts, and a flat-bottom Nappa leather-wrapped steering wheel. Outside, the 19-inch five-spoke wheels (20-inch wheels are optional) have gloss-black accents, the trunk features a subtle spoiler, and the rear diffuser is painted silver. 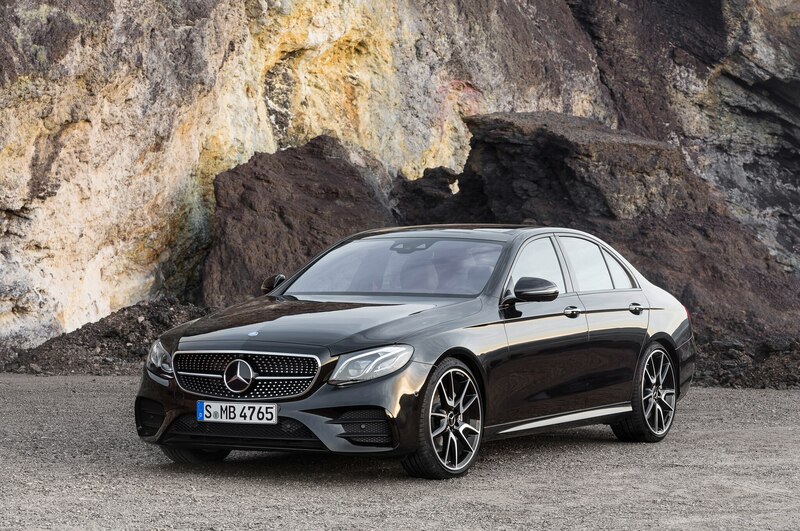 Though an official figure has yet to be announced, the 2017 Mercedes-AMG E43 will be priced in the low-$70,000 range when it reaches U.S. dealerships in early 2017.